I have long loved he idea of dressing up thrift store bottles with a little paint and now you can go a step further with the help of a fun painters tape stencil and create these adorable confetti polka dot bottles. These are perfect for a centerpiece and with the right colors would be great for your Halloween decor. 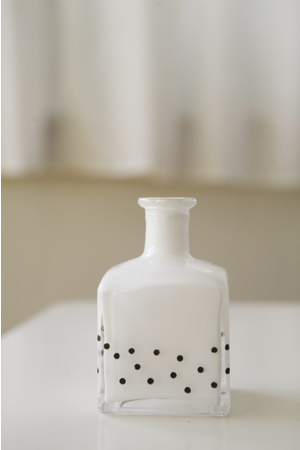 You can check out how to make polka dot bottles over at Ruffled.